Our company will attend Mobile World Congress in Barcelona on Feb 26-Mar 1 of 2018. 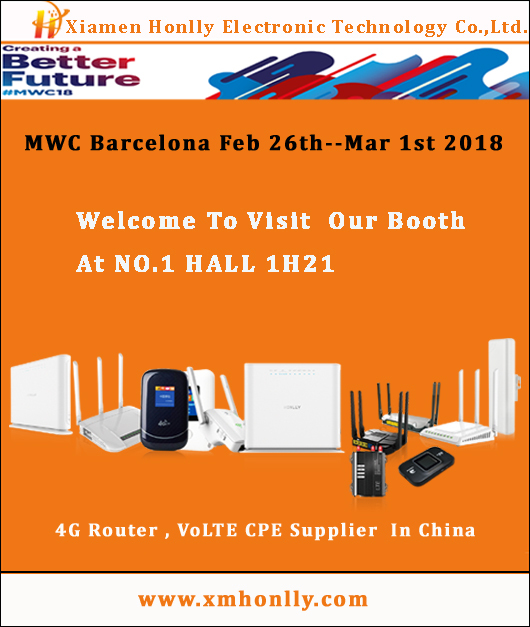 During this exhibition, we will show our new and hot-selling product HL-550 series LTE CPE, these series adopt Qualcomm 9607 chipset, with more stable and better performance,support VoLTE and VoIP voice function; especially HL-552V VoLTE CPE support dual band WiFi, 802.11AC etc. Expecting more business cooperation and welcome to visit our booth at No.1 Hall , 1H21.